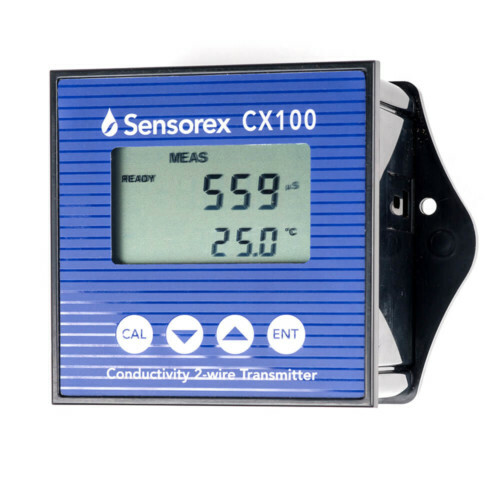 Our CX100 is an isolated output 4-20mA industrial transmitter for reading contacting conductivity sensors. Easily power the unit with available two-wire power supply loop. Ideal for connecting to a PLC for advanced control systems. Versatile mounting options for wall or panel mount. Note: Transmitter is only compatible with sensors with tinned leads and Pt100 RTD temperature compensation. Consider our new CX105 as a great alternative to the CX100. 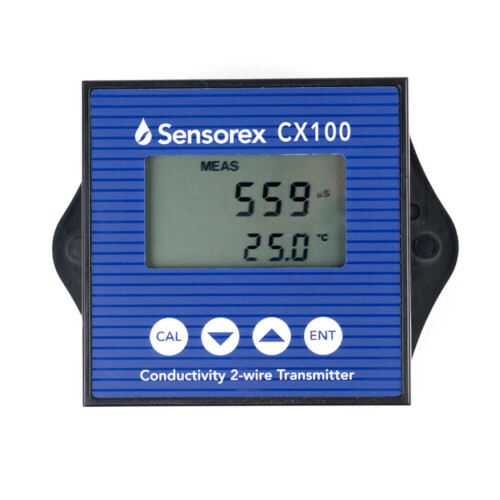 The CX100 is a loop powered conductivity transmitter for use with contacting conductivity sensors. The 4-20mA output is ideal for connecting to a PLC for advanced control systems. Easily power the unit with available two-wire power supply loop. Versatile mounting options for wall or panel mount. Not sure if this conductivity transmitter is what you need? Compare the CX100 Conductivity Transmitter to the rest of our conductivity transmitters and controllers with our handy comparison chart.